Saturday, December 10, 2011 :: Maybelline! Over the past few months, I have been receiving requests on putting up a makeup video. But I have always been sceptical and being afraid to post it up (haha). Stay tuned to the end of the post to find out how you can win makeup goodies by Maybelline from me! View the video HERE at youtube for clearer quality! I have been a fan of Maybelline and have been using their eyeshadows quad palettes. Have tons of them in different shades like blues, lilacs, golds and browns especially. In the video, I will only be showing 1 look on how to use all colors on HyperDiamonds eyeshadow palette. 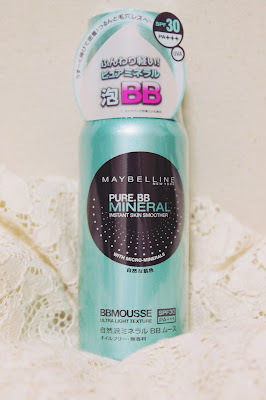 I am pretty amazed by this BB mousse because the texture is incredibly....soft like a fluffy cloud haha. And it glides on effortlessly even as I use my fingers to apply. Usually, I will be using my stippling brush to apply my foundation but this BB mousse goes on smooth and evenly just by using fingers. 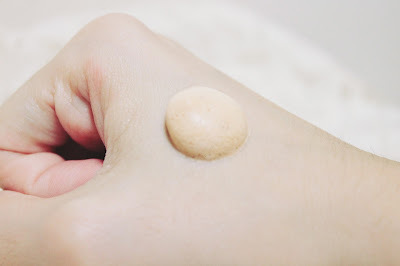 I have been using this foundation for nearly 2 weeks now and it also moisturizes, conceals and brightens up my skin tone while providing UV foundation so I get to skip applying sunscreen. 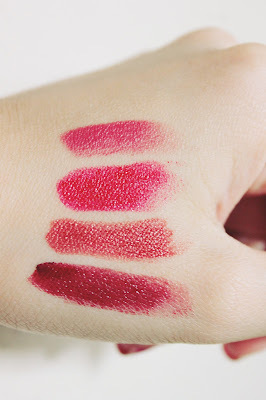 Secondly, I get many questions regarding the lipsticks I used for VGY photoshoots. For Collection 87 and 88, I used the above lippie in 635 & 065+325. I love mixing lippie colors to create a nicer shade so you can try mixing 065 and 325! The color came out really pretty! 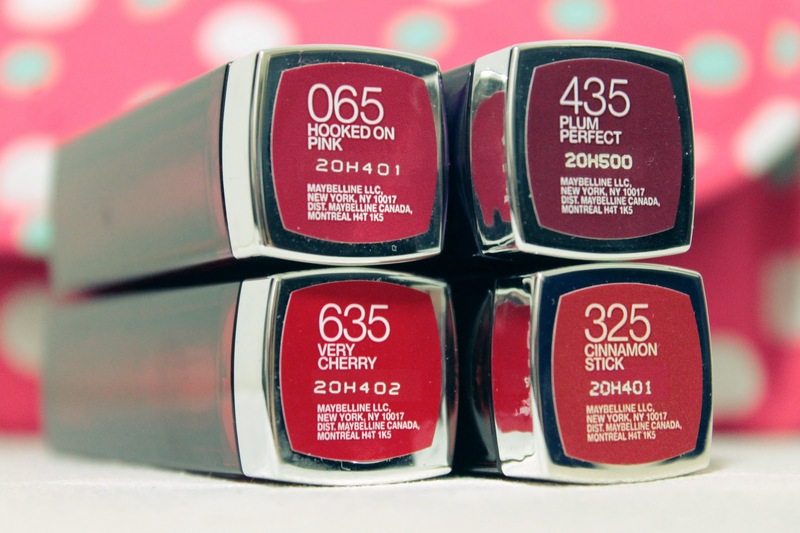 This is a new range of color sensational lipsticks and they are formulated to feel like silky honey. My verdict is, refer to the video and see how the color glides on so smoothly, it is enough to tell you and it really feels like delicate nectar on my lips! 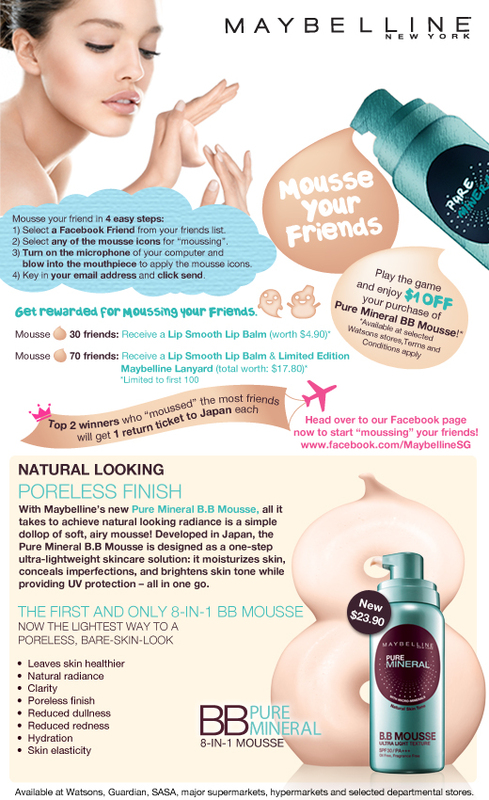 Do check out Maybelline on Facebook as they are having some fun promotion on "moussing your friends" to get rewards and air tickets to Japan! I will be giving away 10 bags of Maybelline makeup goodie bags worth more than $500 in total! I will not be revealing what is in each bag cos I love giving surprises! There are really nice stuff in there like....ahem ahem..mas**ra....eye *iner.. hahaha. It's really easy to win 1 of the 10 bags! Leave your entries under this post with your name and email address and in less than 100 words, tell me why do you deserve to win a Maybelline Goodie Bag! You can be extremely creative or funny in your answer! I am actually quite nonsensical and humorous (irl) so surprise me please!